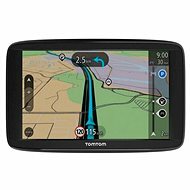 Introducing the TomTom GO 620 - a faster, more sophisticated navigation device with better connectivity. Connecting to WiFi allows you to perform updates without a computer. 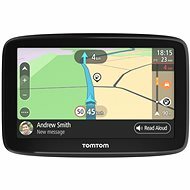 The TomTom GO 620 sat-nav is a successor to the popular GO 600 model, this time enriched with maps of the whole world as well as lifetime access to the unique Speed ? ?Cameras service. The front side of the device is dominated by a 6" touch-sensitive screen with a resolution of 800×480 pixels, and the battery is able to power the device for up to 1 hour without charging. 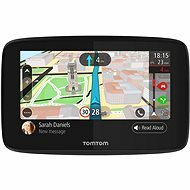 Together with purchasing the GO 620, you get a whole lifetime of access to the unique TomTom Traffic service, with which real-time traffic information will always be at your fingertips, all the time. What is more, you also get lifetime access to the World Map service, allowing you to install and update maps anywhere in the world, at no extra cost. And finally, you are also granted lifetime access to Speed ? ?Cameras, a service accurately recording the locations of speed cameras across the globe. The sat-nav is ready to work with TomTom MyDrive for smartphones. Therein, you can conveniently prepare and plan your route in advance. Then, as soon as you turn on the sat-nav in your car, the pre-planned routes will be automatically synchronised. In the same manner, the sat-nav accesses real-time automated traffic updates, while using only 10MB of your mobile data on average. Drivers surely know that using the phone whole driving has been banned for several years. Fortunately, the TomTom GO 620 will allow you to overcome the difficulties this brings with elegance. The sat-nav comes with powerful microphones and a loud speaker. You can simply connect your phone via Bluetooth, and clearly see who is calling you on the device's display. Make all the calls you need to hands-free while your phone stays in your pocket and saves battery. AD, AT, BE, CH, CZ, DE, DK, ES, FI, FR, GB, GI, GR, HU, IE, IT, LI, LU, MC, NL, NO, PL, PT, SE, SM, VA.
Map of Europe installed: AD, AT, BE, BG, CH, CY, CZ, DE, DK, EE, ES, FI, FR, GB, GR, HR, HU, IE, IT, LI, LT, LU, LV, MC, ME, MT, NL, NO, PL, PT, RO, RS, SE, SI, SK, SM, TR, UA, VA. The World Map Service also includes North America, Africa, Latin America, Oceania, and Southeast Asia; a total of 152 countries. 800 × 480 Mpx Done! Parameter especially important for outdoor or motorcycle navigation, for which is usually not available an external power source. With this type of navigation, you'll no longer need to worry about purchasing additional map updates each year. Updates are usually available several times a year, and you only need to download them, free of charge, to your device. 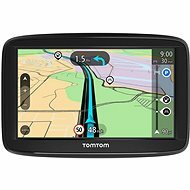 For shipping to other EU countries visit this page TomTom GO 620 World LIFETIME Maps. Für Versand nach Deutschland, besuchen Sie bitte TomTom GO 620 World LIFETIME Maps. Chcete doručit zboží do Česka? 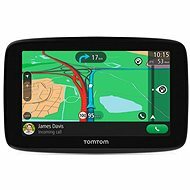 Prohlédněte si TomTom GO 620 World LIFETIME mapy. Chcete doručiť tovar na Slovensko? Prezrite si TomTom GO 620 World LIFETIME mapy. Für Versand nach Österreich, besuchen Sie bitte TomTom GO 620 World LIFETIME Maps. Magyarországra történő kiszállításért tekintse meg ezt a termékoldalt: TomTom GO 620 World LIFETIME térképfrissítéssel.